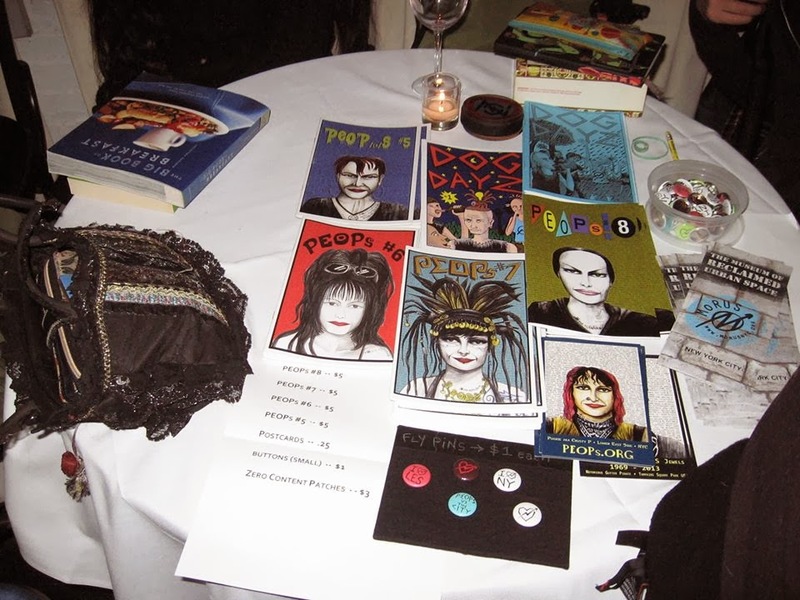 And so that Occupy Art Show @ Bowery Poetry took place a couple of days ago, freezing artic weather, snowstorm and all. And today finds itself as Occupy Wall Street Day 900 and something again, I think..... And Occupy Wall Street is still moving fast. 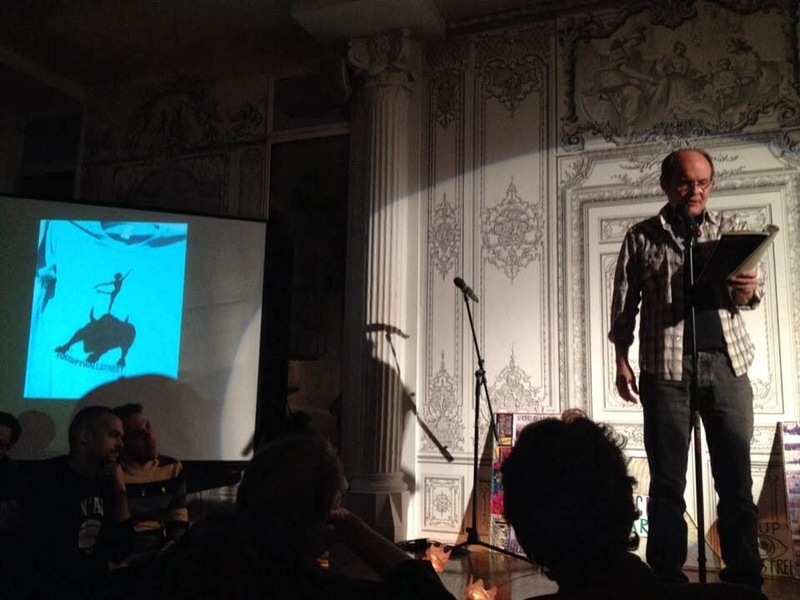 And so what else is there that I can Occupy Art say about an Occupy Art Show at Bowery Poetry with all of its poetry readings, that has not already been said in an Occupy Art time, except that it seems to have been an Occupy Art Show of a night as in those photos and videos that find themselves posted above. 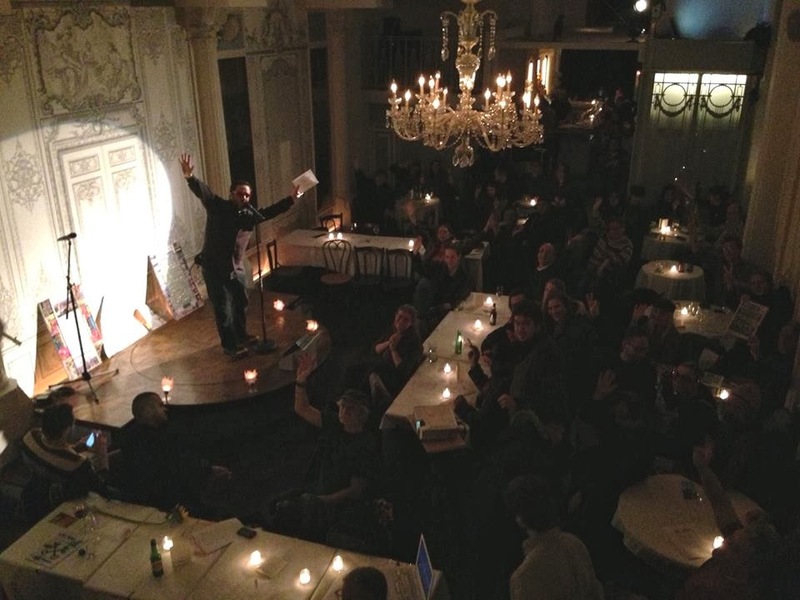 And thanks to Bowery Poetry Club for letting Occupy Art in NYC present this show, and thanks to Occupy Wall Street, Nonsense NYC, Jenny Gonzalez Blitz and others for listing this event, Slum Goddess for one of those photos that finds itself posted above, Fly for her zine table, everyone who made it out to perform, Occupy Art open mic and all, GANDER.tv for live streaming that event and Galinsky for hosting the night. Occupy Art was here again. 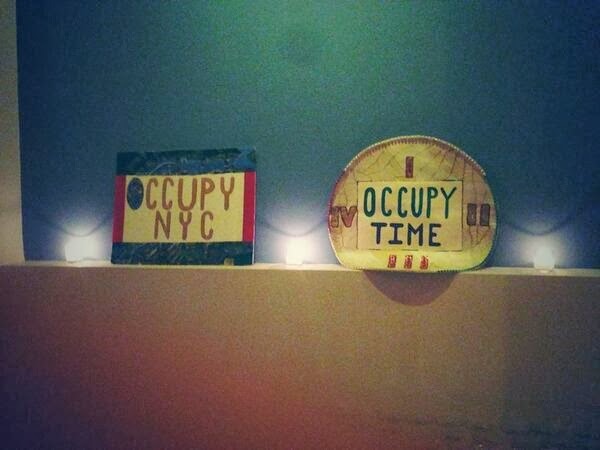 Occupy Art Worldwide. 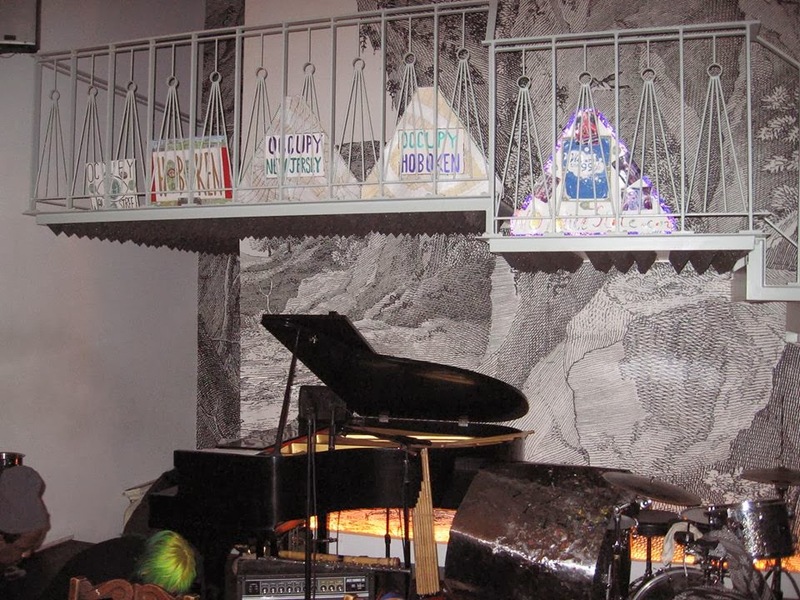 Come to a show of Carla Cubit's Occupy Wall Street artworks and an art, performance and exhibition party! 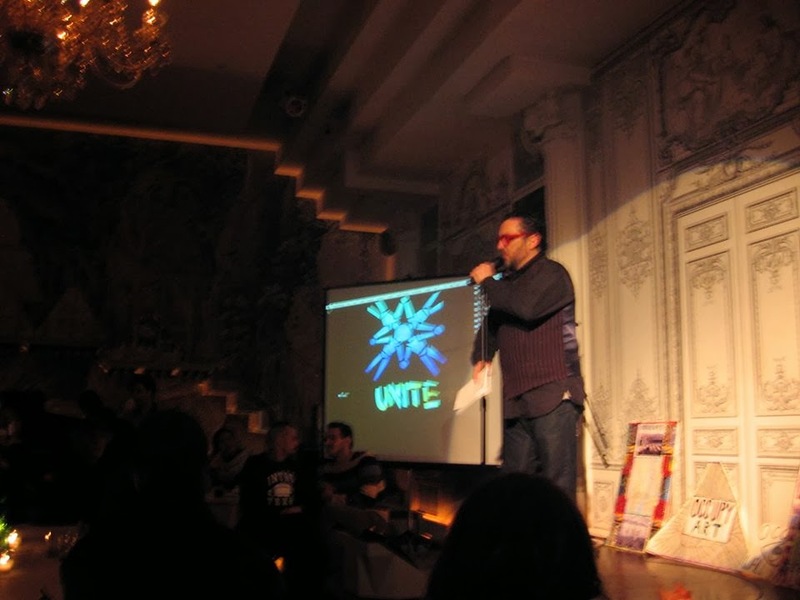 There will also be an **Occupy Art Open Mic** for all who want to perform. Special musical guests from various brass bands as well! 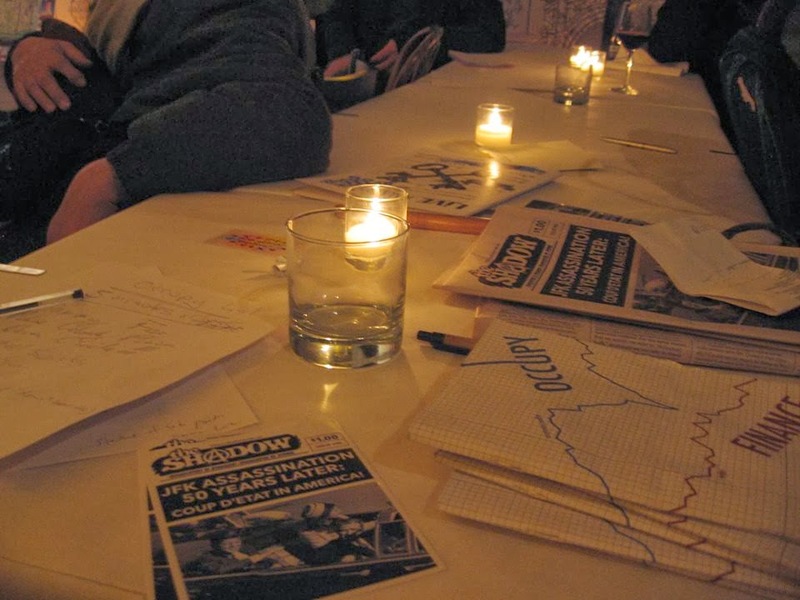 This event is inspired by the Occupy Wall Street protests. 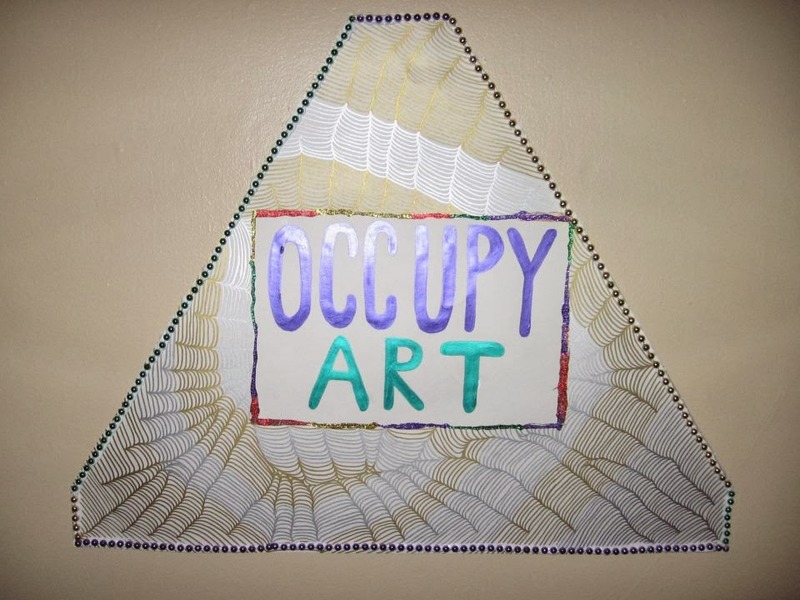 Occupy Wall Street artists and documenting artists will mingle with other downtown voices and vibes to expand scope, perspective and inspiration towards an ongoing series of future culture jams around this theme and time. Please come join us to begin and/or continue the discussion in a variety of media: painting, digital art, film, video and performances mediums. Hope to see you there. 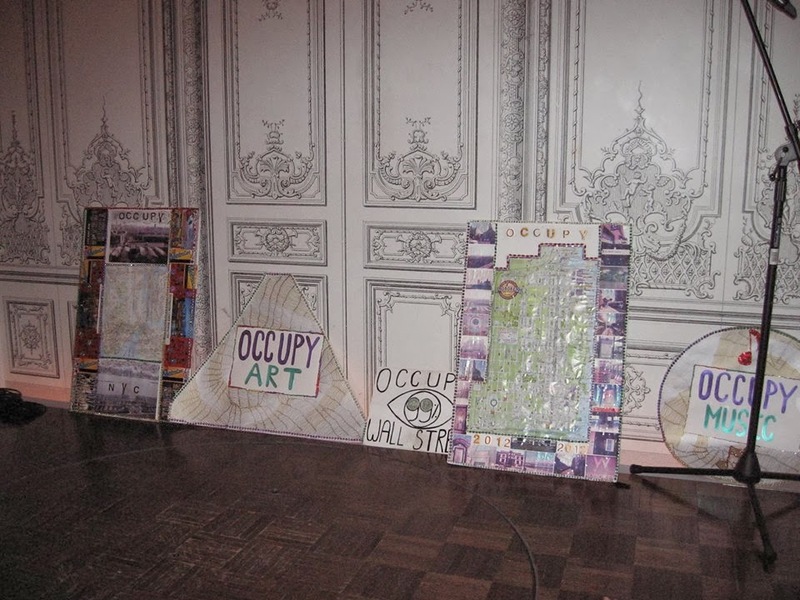 Bring your Occupy Art dancing shoes. 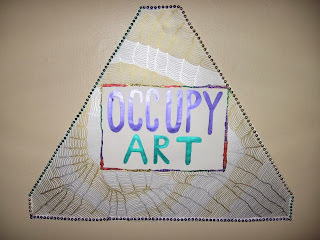 Occupy Art Worldwide. $5-$10 sliding-scale admission, no one will be turned away. 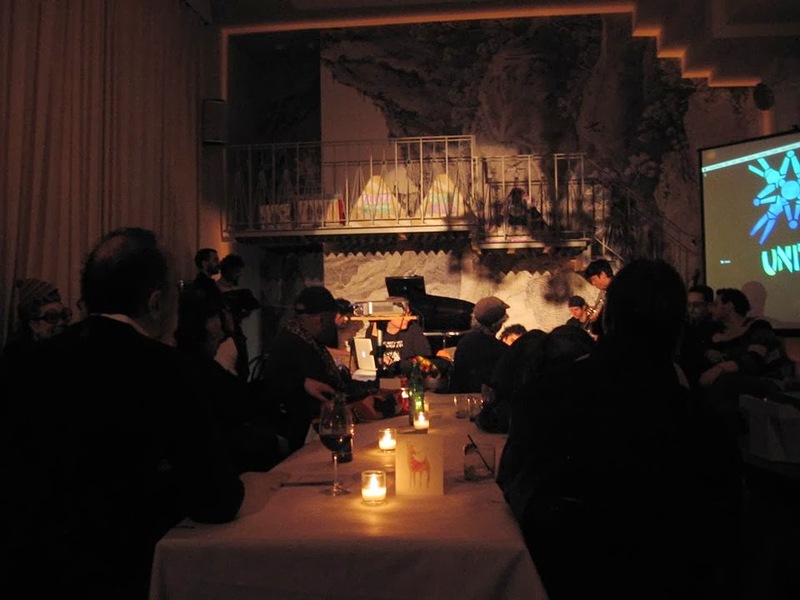 Cash bar.